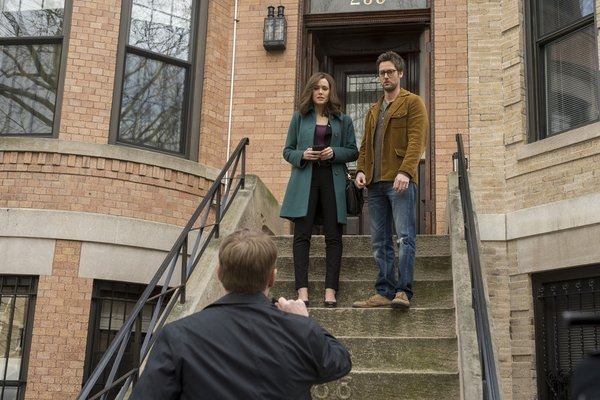 The Blacklist Star Megan Boone and Executive Producer John Eisendrath Dish On The Fall’s Best New Drama! 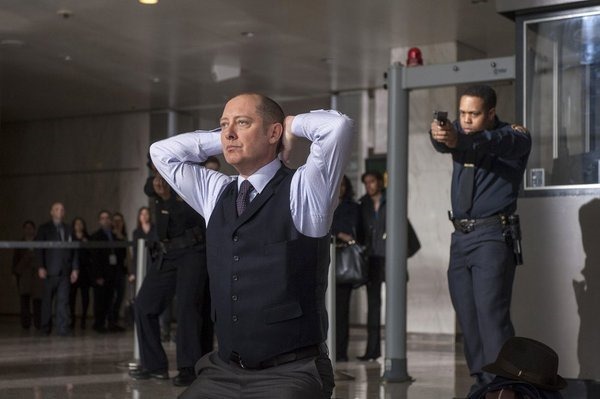 NBC’s The Blacklist (Mondays, 10/9C) is, to my mind, the fall’s best new drama. The titular blacklist is a list of criminals that no one has caught because no one has ever known about them. Criminal mastermind Raymond ‘Red’ Reddington turns himself in to the FBI and claims he can help bring them down on one condition – he’ll only work with profiler Elizabeth Keen who is only just about to start her first day on the job. 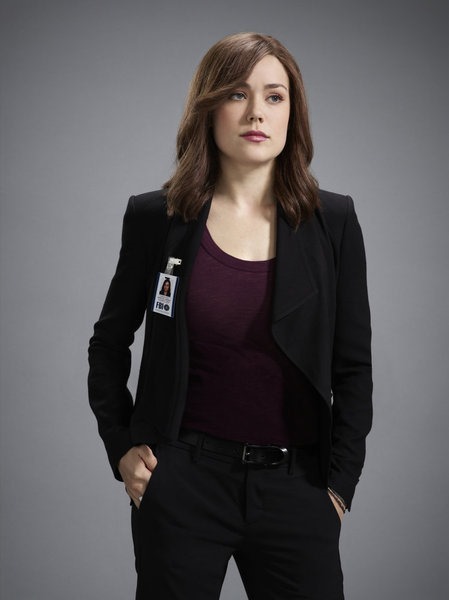 The Blacklist’s executive producer, John Eisendrath and Agent Keen herself, Megan Boone, recently spoke with a select group of journalists/bloggers about NBC’s much buzzed about new series. Hi, guys. Thanks so much for taking the call today. So can you start by talking about how you became involved in the project? Boone: John was involved first, so why don’t you take the lead here? Eisendrath: Did you mean for either or for both of us? Eisendrath: Oh, okay. Well, I got involved in it at the beginning. I worked at Sony. I’m a writer and a producer there and they had done a project, I believe, the previous development season with John Bokenkamp and that show had not gotten on the air, but that was a very good experience and they wanted to do something else with him. He and one of the other producers on the show, John Fox, had the kernel of an idea about, you know, what would happen if somebody who was a criminal had turned himself into the FBI and what would that look like, putting sort of an anti-hero at the center of a cops show. That was last July, probably. We went through the development process together, John and I, in setting up the pitch, getting it sold. We went out to several networks selling it and developing it from the beginning. I got involved it, I would say last July, and then we found Megan. Boone: My experience was that I had kind of resigned to not participating very aggressively in pursuing network TV pilots, but I continued to ask the people that I work with to send me scripts this year while they were casting. Once I got ahold of The Blacklist and I read it, I was immediately kind of drawn to the character Elizabeth Keen and I worked really hard on it for about a week before I met with Eisendrath and Bokenkamp and Joe Carnahan, who directed it. In that meeting, I just kind of put it all out on the table. I probably gave one of the better auditions of my career because it was one of the more important ones to me. I think they continued their search, but always kind of kept me in the mix as they were looking because obviously, it’s a very important part of the show and they wanted to make the right decision. I kept going back in and back in and back in, kind of rediscovering or discovering new things about who she was in the rooms with them, because you know, you can’t ever really repeat the same thing you did last time. The audition process actually drew me closer and closer and closer to the piece. By the time they decided to cast me, I was already really sort of in this world and it was an amazing collaboration at that point because I felt so involved and then read with Diego Klattenhoff and Ryan Eggold and then they brought in James Spader. It just kept getting better and better – the quality – and all of the little pieces came together to create that sort of magic in a bottle that you need to have a successful show. Yes, that’s how I got involved. Okay, great. Did you do a lot of research for this role at all? Boone: I’m still doing research for the role. I don’t think that will ever end. There’s just an endless amount of information and new information that comes as you’re developing it, I think. Every script that comes across the table introduces new elements of my character and personality. For instance, the episode we’re going into, I found that she has a little bit more of a sense of humor about things, which I think is born out of some of the trauma she experiences prior to that episode. You know, the character is always evolving and changing and you know, I have the DSM5 and I’ve read some interviews with prominent type profilers for the FBI that have, you know, interviewed her and so forth. It’s always helpful to stay curious and keep an inquisitive mind about these kinds of things. I have one question for each of you. For John, how long is it until we’ll find out why Red specifically asked Rose – now I’m not asking you to tell me why he asked for her, but how long until we find out? Eisendrath: Well, I think like any great series question, the audience deserves periodic answers along the way. It’s not as if you have to wait very long to get some initial answers that all, you know, build towards a final reveal. We are very mindful that you can’t – and we have no interest in just letting that question go unanswered. It’s foremost in obviously Liz’s mind. She will be insistent on asking. I think that in a relationship like that, it’s incumbent on Red to offer up some concrete footholds, you know, even in the first 12 episodes. There will be two or three answers that are sort of incremental, but you know, I hope that in any, you know, with any good question like that, you’ll get an answer and it might open up a different series of questions that you might not have thought of. We’re going to give answers early on and throughout the first season. Hopefully by the end of the first season, it will give the audience some confidence that they understand most of why he did it. Okay, thank you. And for Megan, one of the things about your character is she lost her father at a young age. Does she think she would recognize him if she saw him? Can you talk about that loss in her life and how it affects her and how that might be part of her connection to Red? I’m not saying he’s her dad, but you know, he might know her or something like that. Could you talk a little bit about what the loss means? And how the loss of him affected her life and why it could be part of her connection to Red. Boone: Well, I think my relationship with my father is the key to why I signed an interest the criminal mind and in justice and the whole course of my life is altered by my experience with my father at a young age. The question of the relationship with Red and like how that could be drawn into my relationship with my father is obviously one that we can’t really expand upon right now. We’re exploring that and as the series progresses, there are obviously some paternal feelings that Red has towards me that will need to be explained, but in my experience in life, maternal and paternal dynamics happen in all kinds of relationships, not necessarily, you know, between, you know, your actual mother and child – father and child relationships. You know, I think that’s – I talked a lot with the writers about the course of this story line and where it might be going and from those discussions, I’ve developed the past and the history for my character that I’m open to having – to making alterations, you know, in the future as new information comes along and as the series progresses and evolves. My first question will be for John. John, I was wondering what we can expect in the storyline of The Blacklist each week. Eisendrath: I do think that one of the sort of great things about the premise of the show is that baked into it is the delivery of a good episodic story. It’s an episodic story that has to sort of get over a certain number of hurdles in order to sort of merit being told on our show. I always think that shows work best when there’s a certain specificity and ours has a lot of that because in order to be on The Blacklist, you have to be a criminal that the FBI does not know about and you have to be someone who would be worthy of Red’s attention. Those are hurdles that regular cop shows and crime dramas don’t have to get over. I think that we have spent a lot of time trying to figure out what that means and what sort of characters would be good to dramatize as ones that would qualify as being blacklist worthy. Hopefully, the audience will get a chance to enjoy some of the… or all of the characters who sort of – we like to portray existing in a world of – existing in our world – but being smart enough, clever enough, devious enough to have avoided detection by the FBI. I think we will offer a sort of slightly different, slightly, you know, the kind of characters who do things that the audience might be familiar with, but do them in a way that believably allows them to avoid detection by the FBI. Okay and my follow-up question is for Megan. Megan, can you talk a bit more about the interaction between Elizabeth and Red? You talked a bit about the father/daughter kind of aspect. What else will their relationship be about? 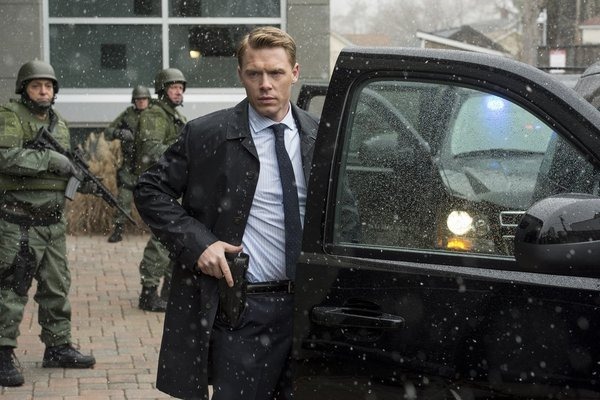 Boone: I think that what Elizabeth wants from Red is to understand the connection and his interest in her, so my ultimate goal and agenda with him is to uncover that mystery. And his agenda is a mystery to me. I’ve kind of stayed in the dark about what it is he wants from me and I discover it through the scene work with James Spader. It has been a really wonderful way to work because I’m always trying to read him through his performance and through, you know, and my response to him has always sort of grown out of that ultimate overriding question of what it is he wants from me. If I knew any more than I do know now or any more than anyone knows about what he wants from me, then I think ultimately it would dull my performance a little bit, it would dull my experience creatively in the show and that’s what keeps it exciting for me. Megan, can you sort of break down your character for us a little bit and maybe tell us a little bit about what we can expect to see from her in the first couple of episodes? Boone: Sure. Elizabeth Keen is a psychological profiler who is new to the FBI and it’s her first day at work when James Spader, Red Reddington, requests to speak with her and only her in order to provide details for catching some of the world’s most dangerous criminals. She’s stressed into these situations and she’s not entirely prepared to be a field agent, however, it’s required of her now to go out and seek out these criminals in some of the most dangerous situations that she may encounter. What you ultimately discover about her is that she’s very brave and capable despite her novice and there’s always that question of whether or not she can handle herself. Sometimes she does, but a lot of the times, the mistakes that she makes are the things that move the drama forward because there are just so many overwhelming circumstances that she has to face that ultimately, she falls short and makes mistakes, and people have to come and – like Diego Klattenhoff’s character, Ressler, and Harry Lennix’s character, Harold Cooper and they have to come in and sort of see just the sort of team around her and at the same time, question her presence in their department. It’s almost as if she has both an incredible force of support around her and almost no one to turn to. She’s in a very precarious situation throughout the initial part of being curious. All right. And John, obviously you’ve had a lot of success in television. This looks like another great series, but what in your mind is it about this show that sort of makes it special and worthy of joining your list of hit shows? Eisendrath: Well, that list is a lot shorter than you might think, but I appreciate that. I would say – well, first of all, it does in my mind always begin with a great script and John Bokkenkamp wrote a great script and one that had great characters in it and a situation that I think was incredibly compelling. After that, it’s mostly, I think, a lot about luck, you know, a lot of times and finding people, you know, like Megan and like Spader, you know, you can never count on going out to cast something and getting people who understand the parts and who in many ways, bring from their own lives something that both adds to the part, but also relates to it. I think in both Megan’s case and Spader’s, you know, there is something about each of them as individuals that melded with the character that was on the page and that is essential to having a successful show because at that point then, they really become dimensional. I think it’s a combination of the script, finding the right cast, which is almost, you know, which is incredibly difficult as I’m sure you and everyone on the call knows, the casting process for TV products is insane, and you know, it’s all done at the same time. So in finding the right people, we were incredibly lucky. Then I think also, it’s a lot of shotgun marriages that go on in the course of creating something. Joe Carnahan – I’d never met him before. I’d heard of his work, I’d watched his movies, I was a fan of his, but I never worked with him before and he did an amazing job. That, you can never count on and you never know it’s going to happen, but he did an amazing job, so sort of all the pieces fell in place in a way that you can look backwards and say, "Oh, yes, totally. We had it under control the whole time." The truth is, you really never know. Spader signed on I think three days before this pilot was going to shoot and there was talk about pushing the pilot, not doing it, we couldn’t find the right guy to play Red, so it was always very chaotic and again, you have to be very, very lucky to have it work and then, you know, I think once those pieces come together, moving forward, each episode is like the chapter of a really good novel where you know, you’ve started with a great first chapter and the pilot, and hopefully every episode we can deliver a new chapter that’s, you know, as good as the first one. John, when you wrote this before Comic-Con, the show was all new, but now that you’ve had several weeks on it, have you casted any really great guest stars that you’re willing to talk about? 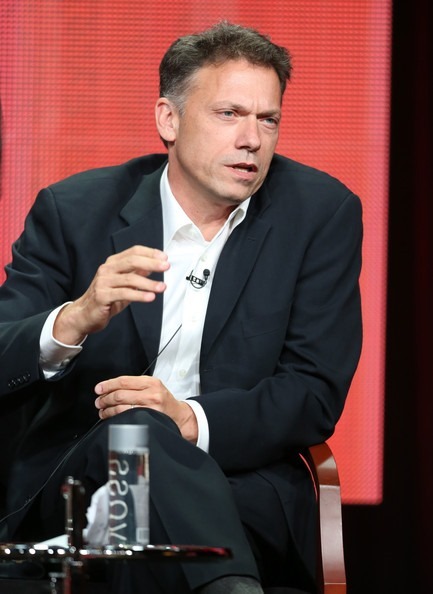 Eisendrath: Well, we have cast guest stars that we love. I’ll just give you one example because he’s doing the episode right now. Tom Noonan is playing one of the guys off the blacklist and you know, that’s an example of the kind of actor we’re getting who really can live in the part of the, you know, characters of the blacklisters that we have on the show. Okay, but Isabella Rossellini has been announced, so could you talk a little bit maybe about what’s doing? Eisendrath: Yes, of course. There too, there’s another example. I mean, Noonan was just on my mind because he’s in the episode at the moment, but Isabella Rossellini did – she did a role on the show where, you know, she played someone who was perceived to be, you know, a really admirable, outstanding, great humanitarian. Maybe she turns out that way and maybe she doesn’t. All I would say is that she did an amazing job, but one thing that I was most impressed with is you know, sometimes you ask all the actors, but even the guest actors, to do things that really I would think, you know, test their comfort level. We did that with her and she did an amazing job just throwing herself into certain scenes that, you know, were about as far away from the days of her, you know, modeling career and you know, graceful, elegant persona as one could possibly get. She did it with great enthusiasm. Terrific. Maybe we can get one more? Three would be great. Eisendrath: I think that’s all for now. Boone: Can we tell them about Clifton? Boone: We can’t tell them about Clifton? Eisendrath: Yes, go ahead. Yes, of course. Boone: We’ve been working with Clifton Collins Jr. this episode, too. He’s a great, great actor. I was so excited to have him on the show and I mean, it’s been an incredible experience for me because these guys keep bringing in some of the best actors to do these guest spots. I understand why they’re doing it. The episodes are written so well. The parts are really meaty and exciting. Eisendrath: And one other – so you wanted three and now you’re going to get four – is Jane Alexander. She also is on the show and she has a part to play as a member of sort of the larger intelligence community that’s on our show. Boone: The incredible thing about Jane being involved is that she was my teacher and has been my mentor for ten years, and this was completely independent of our relationship with her involvement on this show. About ten years ago, I was ready to quit acting and she called me personally on the phone and encouraged me to keep going, so I really would not be here if it weren’t for her in my life and now she’s on, you know, one of the more important shows of my career. It’s one of those things where it’s sort of increment fixing that happened. It’s so nice to have her here. I was just wondering, Megan, if you have any favorite scene that you enjoyed filming that you can share with us. Boone: Oh, gosh. The scene in the pilot where I stab Red in the neck was really an incredible day. We were on the 29th floor of the Waldorf Astoria on Park Avenue, which for me was just kind of larger than life, you know, just an experience that felt a little bit like I had gone into a different paradigm or something. It was my first scene shooting with James and that was the first time I learned what an incredible co-worker and collaborator he was going to be. I did not know what to expect, as I’m sure anyone going into a working relationship that doesn’t know, but you know, I found it – it was so refreshing to me to be kind of nervous and I kept to myself and I just worked as hard as I could that day, and he would pull me aside in between scenes and ask me how I felt the scene was going, what I needed from him and by the end of the day, I was just as open and sort of collaborative, involved and free as I could be with anyone. That’s a huge testament to him that he made me feel that comfortable. You know, Joe Carnahan was directing us and that and I absolutely loved working with him. I got on the elevator and went down from the 29th floor that day and went out on Park Avenue and just kind of ran for a couple of blocks because I was just so excited and happy that this is my new working relationship. It was one of those moments in New York City that you never forget. And my follow-up question for John, are there any ongoing storylines with any of the people that have been blacklisted or if not, will any of those characters be coming back in future episodes? Eisendrath: Well you know, if they managed to survive by the end of the episode and for some reason haven’t died, they might reappear. We have in our minds, you know, a larger methodology for the show, but we also are very mindful that we are doing episodic stories that do stand alone and really so far, you know, most of the people who have been on the show are caught, captured and put away by the end of the show. There are the occasional, like what’s an example – the guy in the pilot who ran off with the chemical weapon. We do like the idea of a guy like that and others that we’ve populated in episodes come back and as we get deeper into the season, I believe we will be introducing one or more characters who will recur. In the beginning, we are building a series that’s really based on an episodic blacklister of the week. John, being a massive Alias fan, I’ve noticed some of your descriptions of Elizabeth and Red’s partnership reminding me of some of the best parts of Arvin Sloane and Sydney Bristow’s (tanks?) in a personal relationship regarding secrets and trust. Will there be any familiar similarities between those two relationships – Liz to Red and Sydney to Sloane? Eisendrath: It’s interesting. I would say there’s a relationship sort of a hybrid – Arvin Sloane and Victor Garber’s character. You kind of are never quite certain with Red whereas with Sloane, he may have needed Sydney, he may have been obsessed with her like Red is with Liz, but he was so demonstrably, you know, on a quest for, you know, things that were evil that I feel like – I feel like it’s sort of a hybrid. I do think there’s sort of a – the larger question is and I would answer it is – there definitely is a Chosen One element to this story like there was to the Alias story, that there is this young woman who her reasons, initially, she has no reason why or cannot possibly fathom, she has been selected. In that case, you know, it was fathered to something mystical and you know, the fourteenth century genius. The distinction that’s clear between a show like Alias and The Blacklist, this will live, you know, more in a grounded, real space. You know, Alias was – we always liked to say it was like a good version of a B genre. I feel like we’re trying not to live quite as far out in the, you know, hyper real world, so Liz Keen’s picture is never going to appear, you know, in the drawings of a fourteenth century mystic, but she has – like in any Chosen One story – a real journey of awakening self-revelation, coming to learn more about who she is and things she may have sort of a sense about herself, but couldn’t possible fathom the sort of details. That journey and having sort of an older guy manipulating it is something that we do talk a lot about – the writers talk a lot about – so there is, in the most sort of basic DNA of the show, a comparable Chosen One story with a young woman and a, you know, morally and ethically challenged adult sort of pulling the levers. I understand. I see. Thanks for that. Megan? You mentioned what a joy it is working with James Spader and at Comic-Con, you described him as kind and warm and humble, and he’s talked about you being one of the reasons why he even wanted to do the show. I’m wondering if you might add the term fun to your description of working with him. I know he had lots of fun with Bill Shatner on Boston Legal. Do you guys share that sort of a close bond relationship in any way as friends? Boone: Yes. Actually when we were shooting the pilot, it was the day we were defusing the bomb and I was having a difficult time and you know, I was kind of spiraling down this very serious mindset because it’s a drama, so you think, you’re shooting a drama, you should be very serious about your work. He just came up to me and he put his hand on my shoulder and he looked at me for a good minute. It made me feel like he was going to say something very, very, very serious. I kind of leaned in and he goes, "Just have fun. It’s the most important part." Ever since that point, his presence is kind of a reminder to enjoy myself in the process. I think that, you know, no matter what genre you’re working in, even if it is a high space drama and a thriller, if you’re not enjoying yourself and you’re not having fun, then the curiosity dies. That is one thing that James has an abundance of. He’s always, always working further into the story and there’s just so much I can learn from working with him, so the joy, the fun and the way that he really is present, he brings that to the work. You know, on the other hand, this is one of the most difficult experiences I’ve never had and without that difficulty and level of challenge, I don’t think that the colors would be there to play Elizabeth Keen because she is entirely overwhelmed, so it’s about funneling all of it and dumping all of it into the scene work as much as I can – the fatigue, the exhaustion, the feeling of being overwhelmed – but maintaining that inquisitive, joyful feeling for the work, that is what keeps me going and it’s a huge lesson that I learned from James. Megan, I was wondering – I was looking at the promo and it seemed like there was quite a lot of action. Is there a lot of physicality in this role for you or is it all stunt doubles and you don’t have to do anything like that? Boone: It’s a combination of things. You know, they have me being dragged and they have me, you know – sorry, there are some things that I feel like I cannot say – but I definitely am like – I had a cake of dirt along my forearms one night that I had to kind of wipe off with a towel. I don’t leave sets without blood all over my hair and face – not my blood, but fake blood. Every week, I leave set having to get rid of some kind of fake wound. I participate a lot physically in the show. I’ve been doing krav maga and I’ve been doing weight training and I’m in the best physical shape of my life just to prepare to do this. It is very vestal and it is a very physical role. Great and John, I was wondering, now, we know that Red is a criminal – I was reading on the website. How bad is he – is he a killer or does he just do criminal things? Eisendrath: Yes, I do know. Eisendrath: He is capable of pretty much anything. He has a moral compass. He has a point of view. He’s not like Whitey Bulger – he’s not like a thug. He’s not like a mobster. He’s not someone who is sort of random and sort of just – he’s not a guy who commits crimes with passion. He’s controlled, thoughtful, smart and shrewd. His capacity for doing any crime, including killing someone, exists. He is – but has, in his own mind, a certain, both either a justification in the moment for the crime he’s committing or as part of a larger part of his life and his career, he has definitely a point of view about the world he has come to occupy, the criminal world that he’s a part of and why he went there, what his goal was. He’s not, you know, any of the sort of great, notable, real bad guys, whether they’re fictionalized or real, you might like think of, you know, he’s not Hannibal. He’s not Whitey Bulger. He’s smarter and shrewder and has, I think more layers than a sort of just criminal. There’s a great deal of goodness in him. There’s a great desire to do good, mixed in with something that’s self-serving, but he has turned himself into the FBI and while we don’t know ultimately what his plan is for Liz or why he is actually doing the things he’s doing – is he manipulating the FBI or not? We don’t know those things, but one thing we do know is that a lot of bad guys are being caught with his help. He has both, very dark shades, but his actions – at one level if you just look at them episodically, have very good results. Megan, when you were presented with this role, you talk about how you didn’t want to know all of the details, but how much of an overall arc were you given and how much of your own personal input were you able to put into your character as it was being developed and what was the most challenging and rewarding point about taking this role for you? Boone: Wow. The most – for me, the most rewarding things come from challenge. You get through a very difficult week and then you see a scene put together from that week and it’s really good. That is a very satisfying and rewarding feeling. As far as my personal input and how much information I was given, these are all little pieces of the overall puzzle that you’re constantly filling in. It never gets complete. I’ve never had an experience with an actor where I’m like, okay, I’m done, my painting is finished and it’s time to hang it on the wall. I feel like every day, I wake up and I read something – I try to engage in something new that will inspire a new thought that will inspire a new moment on screen that will add to the episode. That’s a process and a part of the work that I love and I also find very rewarding. It’s never-ending. It’s a journey. It’s not like, okay, I have all the information about my character now, it’s all filed away and it’s time to shoot this episode and once it’s over, I’ll just work on the intentions for the next episode and it will be complete. There are the collaborative elements working with other people. The great thing about this work experience for me, that I don’t know that I’ve ever experienced, is I feel like everyone around me has an intelligence that I can draw from and that can influence me and help me to do a better job. They also have a very – everyone on this show has a very generous nature and is willing to give and receive and trade ideas, so it’s a very creative environment, so that’s been extremely rewarding as well. Cool, thank you. And then for John, how much – not the particulars of the overall episodes – but how much of the overall story arc do you know? I mean, not the little bits and pieces, but how far is this planned out where you see this evolving into something? My second part of the question is, you seem to write real strong female characters. I’m just wondering if you had a bunch of sisters growing up or something. Eisendrath: No, but do we have it mapped out? We have some very general ideas about where we think the show should go toward the end of the first season and if we were lucky enough to have anything past that. We have, sort of, you know, some general guiding light and then we have head pull moments that we are aiming for at different intervals throughout the first season. They always change. They never sort of end up being what you imagine, but you know our imagining. We have certain marks that we’re aiming for at different intervals during the first season. And no, I had no sisters. It’s funny you say that because I have been on a lot of shows that have strong female characters and I have no idea why, so there you go. I love my mother and my wife and I have a daughter, so I have no idea. Megan, I wanted to find out – in addition to Elizabeth’s relationship on the show with Red, can you try to talk a little bit about her interaction or relationships with the other main characters so far and how they have sort of developed in the episodes you’ve shot so far? Boone: Yes. What’s really interesting and what they’re writing toward is a very dynamic relationship with each character involved – Ressler, my husband, the church that they introduce, (Niramalek). There is (salinity?) for one another and a rich relationship that develops and then there’s the professional world and the question of trust, whether you can trust the people around you and the question of identity, whether you really know anyone. It’s an incredible problem for antagonists to have, where they love the people in their lives, they care for everyone around them, but they question whether they know anyone. I think that that really draws an audience in, too. It helps people to relate to a character and you sort of want to see that character reach out and find someone in that crowd that they can actually feel comfortable with and trust and rely on. As the series progresses, someone will emerge as a reliable friend and ally of Elizabeth Keen or that’s what I’m hoping anyway. John, I’m sort of taking the question I just asked Megan and I’m going to go behind the scenes with it. In addition to her character and James Spader, could you talk a little bit about the casting of the regular or main characters on the show and again, a little bit about what that was like for you? Eisendrath: Sure. You know again, generally, as I mentioned, casting for pilots is a very difficult process. All the pilots, certainly the network and all the cable pilots are all casting at the same time, so you’re scrambling over the same, you know, very talented pool of actors, but there’s a lot of competition, so it’s very difficult. It’s also incredibly subjective, so you’ll see a lot of incredibly talented actors come in and you just know that they’re not the person who you imagined playing the part. That is also, you know, adds to the difficulty. We, again, I think we’re very lucky. I’ll give you an example. We had, I think – I can’t remember the number – but we auditioned many, many people for the role of Tom Keen. I don’t know why. I can’t recall why Ryan Eggold was not in the first, you know, dozen or so people that we read for the part. It might’ve been that he wasn’t available. I can’t really remember. Boone: I can tell you. Eisendrath: Do you know, Megan? Boone: Yes. Ryan wasn’t interested in doing TV and then his agents nagged him and nagged him to read the script. He wouldn’t and then finally, they said they’re really looking for this character and the script is incredible. You’re missing out on an opportunity if you don’t read this. He read it and then he shipped himself from New York to audition in LA, I think. He was actually working on a film with Toni Collette in New York at the time. Eisendrath: See, Megan knows all of this. I know nothing. I had never seen him before. I had no idea he was doing a move with Toni Collette. I’d never heard of the guy before. He was great. Literally, he walked in and I can’t remember why, but I think he walked in and we weren’t quite ready. I think even before he auditioned, we were like, okay, I think this guy might be the right guy. It was sort of like, oh, there he is. That’s what I was saying earlier – that rare sort of – you’re very lucky when that happens. You’re like, yes, that’s the guy we want for the part because before then, you want someone who’s this and someone who’s that and one guy comes in and he’s got one part of what you want and not the other and then reverses for the next guy and then you see someone – in our case, it was Ryan. I was like, oh yes, he’s got it all. That was true with him and you know, the same was true with Diego. Again, Megan probably knows – I don’t know why we didn’t see him for a while. Maybe he was still on Homeland, I have no idea, but he, too, was somebody who came in late in the process. We had auditioned and auditioned and auditioned people to play the part of Ressler and I can’t remember whether we made an offer that didn’t go through. You know, that happens sometimes, too where you know, you make an offer and then that deal doesn’t close and you’re like oh God, that’s never going to work. Then the next guy walks through – and with Diego it was like that – he came late in the process as well. Like with Ryan, we were like, where have you been? Oh, okay, and now we know he was in Homeland. I hadn’t watched Homeland and Bokkenkamp hadn’t watched it either. It wasn’t like we were familiar with him or knew him from that show. We just thought oh yes, he’d be great. I think that’s true for them and I can’t remember – you know, well I mean again, and with Harry, Harry I think came – the truth is everybody came. Megan was the first person we casted by I think a long way and everybody else just took a long, long time. My question for you is there are a lot of really bad villains out there. They’re psychopathic, there is lots of blood gushing. Did you have a difficulty in determining who your villains would be and why they would be so good at doing bad things? Eisendrath: I think it’s one of the hardest things to do every episode, sure. I think it’s incredibly difficult to try and find that kind of character that you haven’t seen before, so we had to try, anyway, to walk a fine line between – as the other guy mentioned earlier – a show that we want to be grounded and real, and yet have bad guys who are big enough to merit being on the blacklist and yet, not so big that you expect them to wear, you know, capes and spandex outfits. We don’t want it to be like a cartoon, but we don’t want it to be a bad guy that could be on Law & Order. It’s hard. It’s incredibly difficult. Boone: They’re doing an incredible job, though. I mean, every villain is so unique and I mean, imagine trying to create a Bond-like villain 22 episodes a year. I can’t imagine the challenge myself, but every time I get a new script, I’m just like, oh this is so cool! 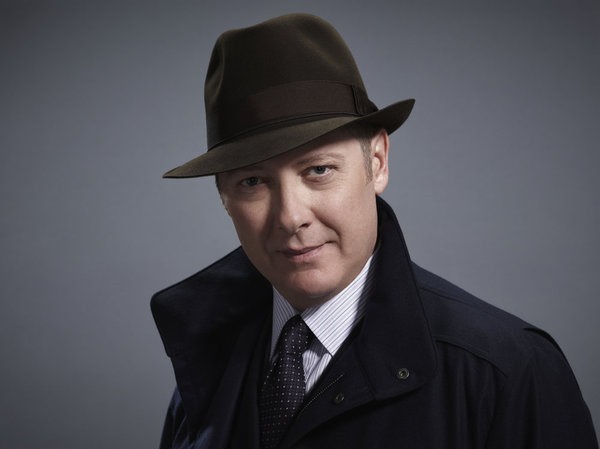 One of the really interesting things about the villains is they sort of dictate the genre and the tone of each episode, so James Spader, myself, Red and Liz are able to sort of move through these different genres to find these different villains, and the villain himself sort of brings a flavor to each episode and it keeps it very new and interesting. All right, so we won’t see any repeat villains or will they come back or have recurring villain roles? Eisendrath: Not yet. Right now, we don’t have any plans yet for people to recur. We are going to arc toward a place later in the first season where I think that might happen, but it’s not in the first batch of episodes. 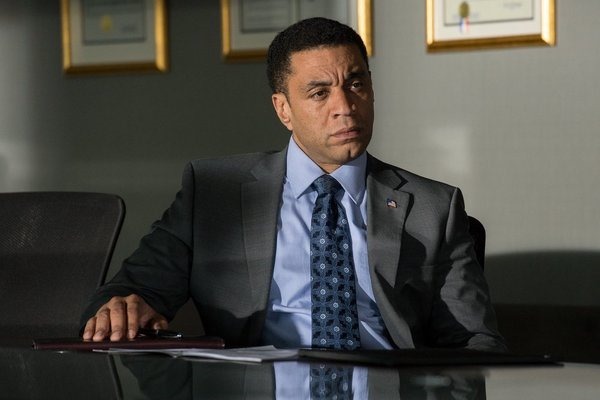 Megan, John has mentioned Harry Lennix’s role being somewhat thankless and how he made the brave choice to play Cooper against type, so for all of Harry’s Matrix and Dollhouse fans out there, I was hoping you might expand a little bit about looking at him and how his character fits into the story overall. Boone: Yes. Well, the only character that I know and how it fits into this story overall is Liz Keen, but my experience with Harry Lennix himself is that he’s obviously an incredible actor. He’s an incredible man. He’s very, very kind and wonderful presence to have on set, but the way that he plays Cooper as opposed to the way Cooper was written brings a wonderful quality to the show because Cooper was written as a necessary veteran of the FBI, you know? And then when I went to play my first scene with Harry, I sat across from him and it’s the scene where he asks me to profile myself. I had expected to be very intimidated by the character of Cooper, but sitting across from him, he’s this very warm and open man. That’s what he brought to the character. I think that adds to a new dynamic and a new dimension to the show because if you have someone that you think you can really trust and then you have a show about identity and whether or not you really know the people around you and there are so many places you can go with this man because he can draw you in and make you feel comfortable and he’s an authoritative position and he has a lot of power and then if you bring in darker elements, then that can create a very dynamic kind of problem that you have to solve. I think his character is going to go through some different sort of incarnation on the show, but he draws you in and makes you want to trust him. Eisendrath: Did I say Harry’s role was thankless? I don’t remember that. Did I say that? I read that in an interview. Maybe you were misled. Eisendrath: Oh, always misquoted. No, I’m kidding. Boone: I don’t think it is. Eisendrath: It’s just that often times, that’s the role where you’re just sort of giving out expositions and everybody else gets to do all of the stuff out there, you know, but I think we’re going to find ways for his character to do both. I just have a follow-up for Megan. You had mentioned earlier that you considered given up acting a few years ago. Looking at your film and TV bio, you know, you’re a relative newcomer, so it shocks me to hear you say that given the performance that you’ve given us in the pilot. What advice – I’m just curious – what advice would you have for young women? You play a strong female role which is hard to come by now and then. What advice would you give to someone out there that – looking at you now and hearing you say that you considered giving up, what – who were your role models growing up that gives us who we see today? Boone: It’s very easy to become discouraged as an actress in your 20’s because the roles that are written for 20-year old girls generally discount the possibility that they could have intelligence or have struggles other than boy problems. Ultimately, I would – part of my career would be that I would like to find stories that change that and give young women an opportunity to express themselves in a different way. I found it very difficult to find a median for expression at a young age as a woman. I’m entering into a period in my life where for one reason or another, there are female roles few and far between, but there are female roles that I feel like are interesting. I think the advice that I would give to young women would be to continue to develop themselves and continue to stay true to themselves, be patient and know that life can change in an instant in this field. You know, coming together with a project like this is a lot like finding, you know, a soulmate or falling in love. It’s like you wait your whole life and wonder if it’s ever going to happen to you and one day it does, and then you’ve got a whole new set of problems, but at least your life is evolving and transforming and you’re being challenged on a new level. You know, I look back at those times and I wish that I had known then what I know now because I would’ve not had gotten so discouraged, but fortunately, I had mentors like Jane Alexander and other wonderful men and women who are in my life that help me to feel like I should continue to move forward in this path. If a young woman out there doesn’t have that, you know, and is reading this, then I would hope that they would remember that that role is out there. Those experiences are out there as long as you keep an open mind and understand that life can change in an instance. You’ve talked, Megan, about collaboration with everyone. Does that mean that there’s room for like improv when it comes to some of the lines or do people more stick to the script? Eisendrath: I’m listening very closely to that, Megan. Boone: The script is very particularly written and put together. Ultimately, I find that I rise to it every episode. You sort of figure out why they made that decision and that decision is often times more specific and has a lot more clarity than anything that you could bring into it in the amount of time that we have. Improvisation is a freedom and an option that we have once we get the take of the scripted dialogue, but it’s not necessarily something that I ever feel like I need, creatively, because ultimately, I’m just trying to tell the story and the story is given to me by a group of very good writers who have deliberately written these scenes and gone over and over them to make sure that they’re right. I don’t think that me or anyone in the cast feels on the day of shooting that there’s anything that really needs to be done differently. Previous PostKaiju Pilot In Development at Syfy!Next PostIf I Picked The EMMYS, 2013 Edition!